Moving to New York and all of its perks are waiting for you. This city that never sleeps and all of the music, night scene, amazing architecture and cultural events are now reachable. This is the place where dreams come true, and good things come to those who hustle. We welcome you to it! But, there is still something that needs to be decided. And it is a BIG DECISION. 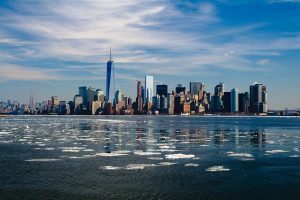 Choosing New York City as your next destination, and Manhattan as your new home, perhaps wasn’t so challenging, but this will be a bit more difficult. Different Manhattan neighborhoods are waiting for you to call them their home. But, how will you choose? They all seem so perfect! The island of Manhattan offers a lot of possibilities, you just have to choose the right one! 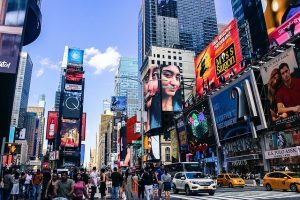 The authenticity of China Town, cutting-edge galleries in Chelsea, the rush and noise of Times Square… Or perhaps you are more interested in dining and bars in the East Village or the lovely architecture of the Greenwich Village. Possibilities are so many, and all of the Manhattan neighborhoods are so amazing that it is, indeed, very difficult to choose. But, let’s see which part would suit your needs better than others, shall we? It’s not just about what is best, but what is best for you and your needs. The popularity of this part of Manhattan began in the early 1990s when galleries and art scenes from other parts of the island moved here. It would be true to say that Chelsea is everyone’s cup of tea. Perhaps that is why it’s so popular.The buildings are luxurious, the entertainment is diverse, and the cultural scene is thriving. In Chelsea downtown and uptown come to flirt and sometimes, even, stick around. It doesn’t hurt to mention that gay population inhabits this particular part of the town more than any other. Nightlife is the life, unaffected by the zoning rules – there are no schools and churches here. That is why Chelsea is the most popular Manhattan neighborhood for young people. Chelsea is not quiet and residential, so make sure you have your priorities straight before you come strolling for apartments to rent. And make sure you don’t mind the noise. 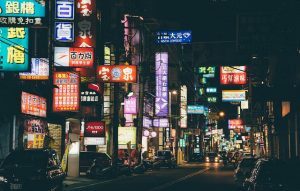 Chinatown will leave you breathless, but don’t stop there! One of the most amazing things about New York is the cultural diversity and there is no better representation of it than Chinatown. Just a little east of Lafayette lies one of the most colorful Manhattan neighborhoods. It feels as though you have traveled thousands of miles and are now inhabiting the land of exotic foods, strange mixes, unusual language and shiny jewelry. The Asian community, not only limited to China but also expanding to Thailand, Vietnam, and Indonesia, has found its home here. Emerge yourself in rich culture, tradition, cuisine and a lot of noise. Get used to crowded streets, busy people and strange smells. Don’t expect anything to be typical here. This is the Chinatown! 3. If you are looking for something more serious, check out Financial District! One of the most popular attractions in New York City, the Brooklyn Bridge, can easily be accessed through Financial District. Completely different than the other two districts we have shown you, Financial District is the birthplace of New York. This is not a Manhattan neighborhood crowded with restaurants and bars, which are actually pretty scarce. It is, on the other hand, a financial hub as well as the first pick for residents. Filled with museums and amazing architecture, this Manhattan neighborhood attracts many. If you are looking for September 11 Memorial and Museum, or access to the Brooklyn Bridge, the Statue of Liberty, or the Ellis Island… Well, you came to the right part of Manhattan. Located between Houston and 14th Street, the place to be is East Village. Just like all of the other Manhattan neighborhoods, it has a special charm and authentic feeling. If you like to enjoy the sunlight do it in some of the amazing parks, strolling through record stores and vintage clothing stores. And for all of you night owls, theme bars are all around, so if you are on a first date, head to East Village. When most of the other parts of the island are sound asleep, the excitement is high here, bars still open, foodies still trying out something new… And everyone, always, dressed fabulously. It is crowded, loud, and with a lot of traffic. You are going to love it! 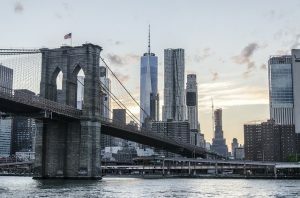 There are many more parts of New York worth visiting, exploring and living in, so make sure to keep up with our blog and we will keep you up to date! Even when you choose one Manhattan neighborhood to settle down, you can still use up all of your free time to visit the rest. Crab dinner in East Village, visit an art gallery in Chelsea and go shopping in Soho. Study the metro lines or hail for a taxi, like any local would do. And if you don’t like your district, you can always move! Even when you have picked your perfect Manhattan neighborhood, you are still going to have a lot of work and a lot of doubts. It is very important that you choose the right Manhattan moving company. Make sure that your Manhattan moving quota isn’t too high. In addition, you need to know all about what can you expect when you are moving to New York. If you have any doubts or just want to consult with experts, we are here for anything. We highly appreciate the trust our clients have in us. We work very hard to exceed their expectation and always go the extra mile.